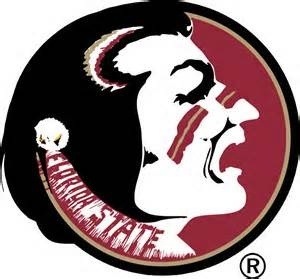 So, FSU last night had won their first national championship game post Bobby Bowden. The relevance of this blog was a mea culpa for sure. If you had missed my water cooler banter about FSU’s current coach being a vote of no confidence. Watching from afar in the ACC, the SEC, I had preferred Guz Malzahn for years. In the 2010 season, I had fantasized about Jimbo getting the “boot” and being replaced by Gus with firejimbo.com online campaign. This morning, I had woke to see highlights of Jimbo switching FSU’s offense to a no huddle. This coaching adjustment clearly had made FSU’s title game comeback a reality. Sure there we’re plenty of offseason and season adjustments along the way; however, in this game, he had executed at the right moment at the right time. A true tenant of great coaching were these “moments.” To boot, pun intended, he had done it with class and the backdrop of his son, Ethan’s health issues. Being a reluctant fan post Bobby’s forced retirement, I had finally come abroad in supporting him. Some might had said kinda late but, I had thought “You gotta beat the best in Gus Malzahn, to be considered the best!” To that end, Jimbo Fisher had arrived. For me, I had wanted to say “I’m sorry for not being the a biggest fan. I’m a believer now.” Today, I had truly felt comfortable with you replacing old man Bowden. Best of luck in 2014, I had hoped the very best for FSU, more importantly though, to the health of your son Ethan. This entry was posted in Sports and tagged Florida State, Fsu, Jimbo Fisher, Seminoles. Bookmark the permalink.